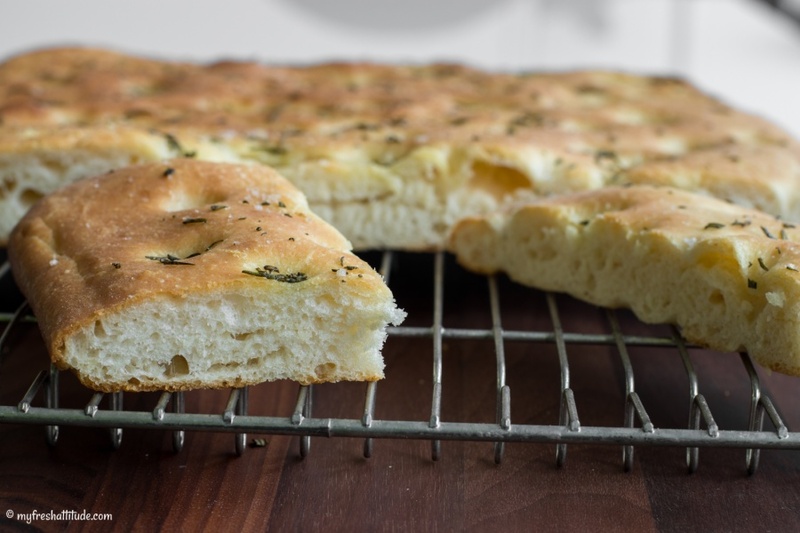 I think focaccia is my all-time favorite bread, but it must be made in the same way as is customary throughout the Ligurian region of Northwestern Italy. A well-made focaccia must be slightly crispy on the bottom, golden on the top and have a fluffy interior about 2-cm (1-inch) thick. So, how’s that done? My focaccia-making journey begins in America where I came across this flatbread the first time. It was quite thick and certainly fluffy…and it had milk in the dough! This was how I learned to make this iconic Italian flatbread while attending culinary school. But everything was about to change in my understanding of focaccia. I recall disembarking from a train in a small seaside village in Cinque Terre. I was hungry and quickly found a small shack selling focaccia, which could be topped in number of ways similar to pizza. I ordered a couple of pieces – with onions I think – and after one bite I simply knew…this was the best damn bread I ever tasted. I couldn’t get enough and sampled plenty more during the next few days. But I was left wondering just what the secret was in baking good focaccia at home – the answer was certainly not in my notes from culinary school. Several years later, I met a chef from Manarola, one of the beautiful Cinque Terre villages, who had worked in a bakery. He agreed to share the secrets of focaccia with me and gave me the following recipe.